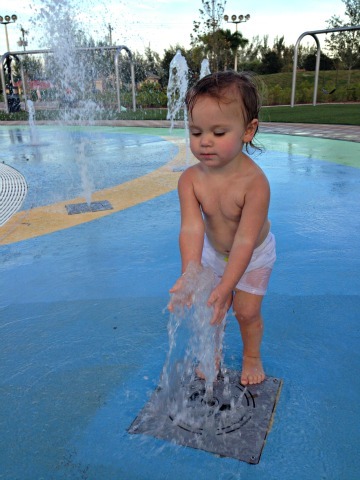 Cape Coral Parks - We have 39 different parks and recreation centers for family fun, sport, and enjoyment! 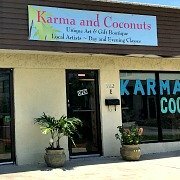 What I love about our city is that it is very family-oriented ...... there are a variety of things to do in Cape Coral for many kinds of tastes. We have monthly festivals and activities, many of them at these great parks. Our parks include everything from playgrounds to sports complexes, fitness trails, nature paths, kayaking, bike paths, boat ramps, beaches, a golf course, bmx, a skate park, and even a waterpark. Cape Coral is HUGE! 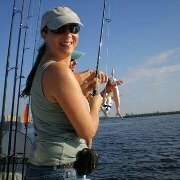 Our city of 120 square miles has over 400 miles of canals and is surrounded by 2 bodies of water with Matlacha Pass on one side and the Caloosahatchee River on the other. 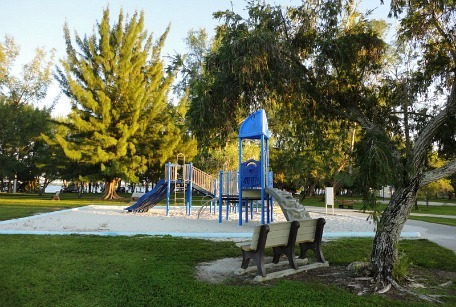 One of our parks on the river is Jaycee Park, which you can see in the photo below. Because of that, we have so many opportunities to get out in nature, so grab your gear, some suntan lotion, your kids and get walking, boating, biking, golfing, and playing! 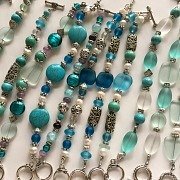 Here are some of my favorites ....... and parks I'd like to highlight. 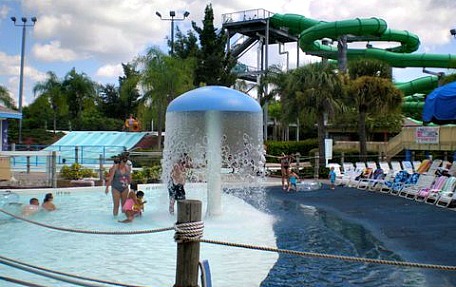 Sunsplash Family Waterpark has acres of splashing good fun with a lazy river ........ I love me a lazy river ........ and pools, water slides, and tunnels. Get season passes, go on discounted Family Fun Nights, or watch movies on their Aqua Theatre Nights. Sunsplash's season begins in March on weekends, they are open daily once school lets out. Then they return to their weekend schedule after school starts up in August and close for the season in September. 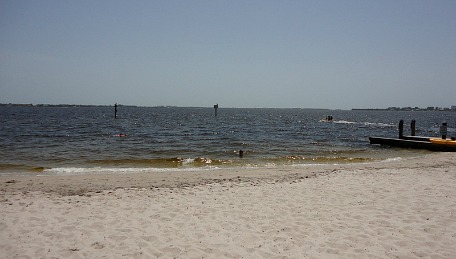 A couple of our Cape Coral parks have beaches! 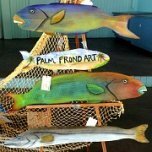 The Cape Coral Yacht Club has a beach on the Caloosahatchee, a boat ramp, marina, ballroom for gatherings, public pool, playground, shuffleboard, tennis and racquet ball courts. We mainly go to Yacht Club Beach to swim and tan or for the monthly Sunset Celebration. 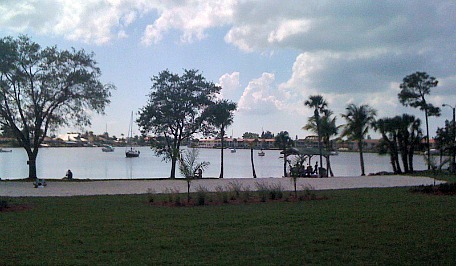 Four Freedoms Park has a tanning beach on Bimini Basin. 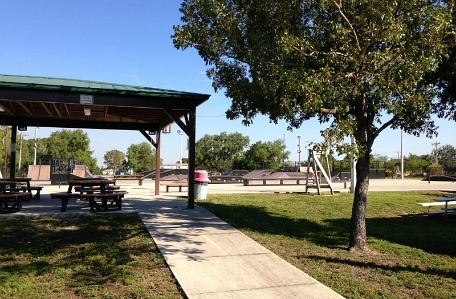 You'll also find a playground and a recreation building that has a preschool and various classes. Grab an ice cream at Ice Sssscreamin, or go to the park for the Cardboard Boat Regatta in April, or the Christmas Boat Parade in December. 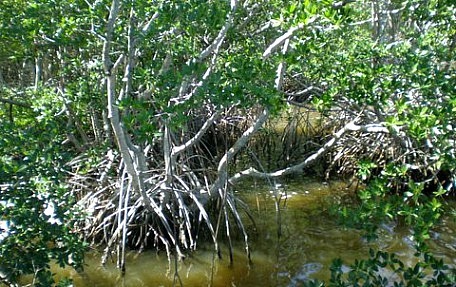 Cape Coral Eco Park is a nature wonderland as far as I'm concerned! 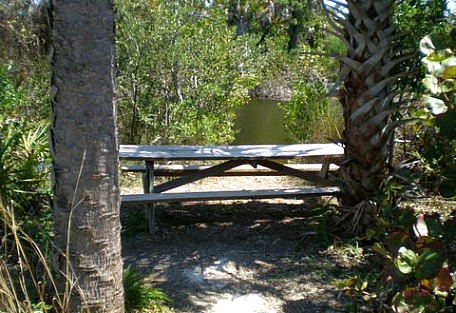 Walking paths and a boardwalk lead you through eerie yet really cool mangrove forests and out to the Caloosahatchee where you can watch for birds and other wildlife. I can't help but imagine what it was like when the Calusas lived here, paddling through the forest, hunting and fishing. You can also rent kayaks ........ moonlight kayak paddles are available through Parks and Rec. 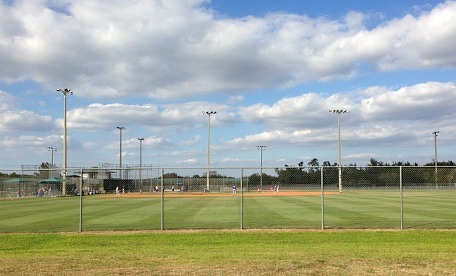 Another one of my favorite Cape Coral parks is Rotary Park, which has 2 sections with 2 different entrances. The main entrance has a playground, nature center with classes, dog park, butterfly garden, and walking paths with a viewing tower, that wind through a nature preserve. This is also the location of the Burrowing Owl Festival, which happens in February. The other entrance features a viewing tower on a boardwalk that leads out to the Caloosahatchee. One of my most favorite parks to take kids to is Fellowship Park at Cape Christian Church, on Chiquita Blvd, just north of Veterans Pkwy. There are: several shaded playgrounds, huge splash pad, basketball courts, lighted sports fields, picnic pavilions, courtyard seating around a fountain, and a cafe that serves specialty coffees and crepes. The pavilions are available to rent, the park is free to everyone, and is open everyday from dawn to dusk. 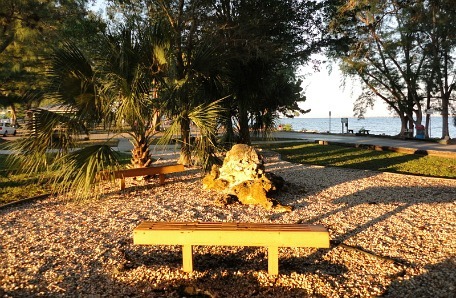 Jaycee Park is located right on the Caloosahatchee River at the eastern end of Beach Pkwy in the SE part of the Cape. They have a huge playground, playing field, and walking paths. In September, the Peace Day Festival is held here. 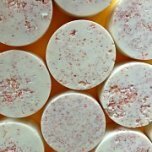 Ready to get fit and get in shape? 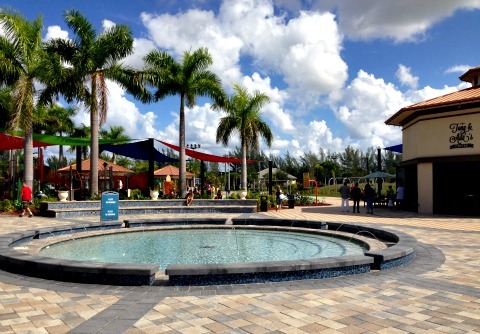 All you have to do is go to Joe Stonis Park at 3444 Ceitus Pkwy in NW Cape Coral. 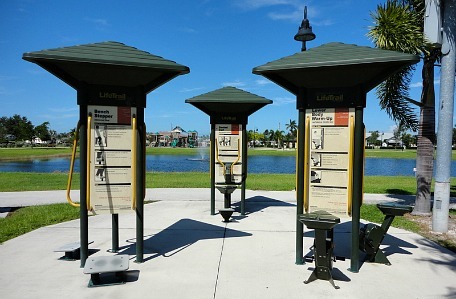 They have fitness stations scattered around the park along a lovely setting on a lake. You can picnic, use their playground, play horseshoes, shuffleboard, or tennis. 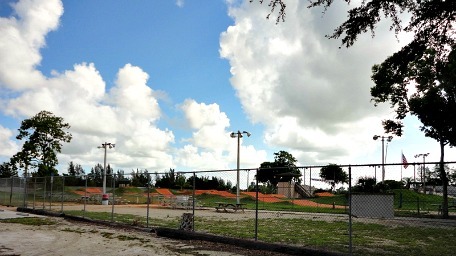 The Strausser BMX Sports Complex is home to BMX Motocross, several men's softball leagues, a playground, picnicking, and a boat ramp. It's located at 1410 SW 6th Place, off of Skyline Blvd and Trafalgar Pkwy. For their schedule and more information, go to the Cape Coral BMX website. Eagles Skate Park is open for kids 6 and older for skateboarding, rollerblading during the week, and biking on Wednesdays. Kids 8 years and up can join their afterschool program Monday - Friday from 2-6PM for supervision, homework help, skating, games, and sport. Free buses are available to take your child to the center. 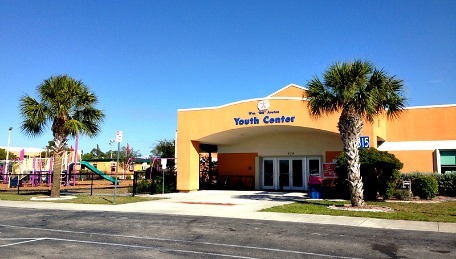 The park is at the Bill Austen Youth Center and is open after school, and all day over summer vacation. The center has teen dances every Friday night from 7-10PM for $5 for 12-16 year olds. The hall is available for party rentals on Saturday nights. 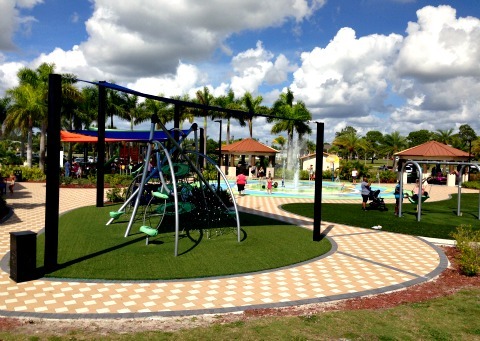 Go to the City Parks page to see maps and where you can get more information, locations, and directions to all of the Cape Coral parks, sports complexes, and playing fields. 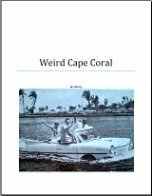 To find out more about Cape Coral's boat ramps, go to my Cape Coral Boat Ramps and Launches page. 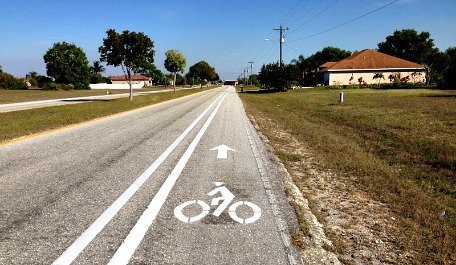 Cape Coral has bike paths and lanes throughout the city. To see where they are, go to the Bike Path and Lanes Map. In January, Cape Coral has the Tour de Cape bike tours with a 5K run ..... plus 100, 60, 30, 15 mile rides, and a mini tour for kids and families.